Explore Lappeenranta's surroundings by going to Olavinlinna Castle (in Savonlinna), Hamina Town Hall (in Hamina) and Kotka (Sapokka Water Garden, Langinkoski Imperial Fishing Lodge Museum, & more). Spend the 21st (Sun) exploring nature at Repovesi National Park. 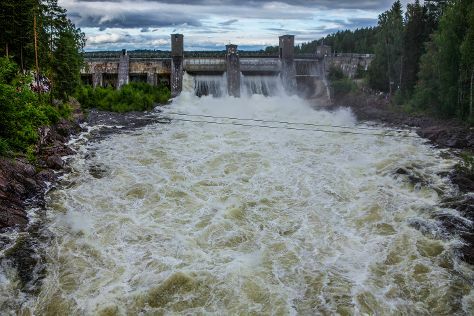 There's much more to do: take in the dramatic scenery at Imatra Waterfall, see the interesting displays at Lappeenranta Fortress, contemplate the waterfront views at Saimaa Canal, and don't miss a visit to Sandcastle Lappeenranta. To find ratings, reviews, and other tourist information, read Lappeenranta tour planning site . Expect a daytime high around 8°C in April, and nighttime lows around -1°C. Finish your sightseeing early on the 22nd (Mon) to allow enough time to travel back home.